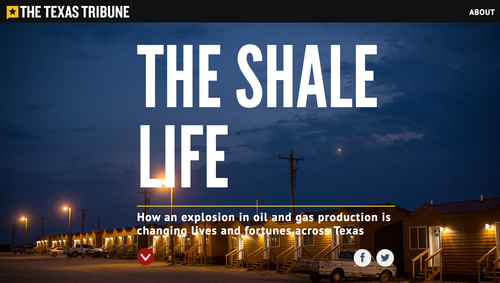 To document the impact of energy on the lives of many, from crop dusters and prison guards to farmers and transient workers in oil fields, The Texas Tribune launched The Shale Life Wednesday. The first entirely visual project for the news website (made almost entirely by photographers, videographers and graphic designers), it’s also the nonprofit’s first run at crowdfunding with Beacon Reader. About 60 people gave $5,500 to cover the expenses of photographers and videographers who put together The Shale Life Project on Beacon. Though it’s their first time working with Beacon Reader, Texas Tribune supports itself in part with help from thousands of members and is known as one of the most successful nonprofit digital first news outlets in America. Last September, amidst a live stream of a filibuster to fight strict new anti-abortion laws by then State Rep. and now Democratic candidate for Governor Wendy Davis, Texas Tribune launched a Kickstarter campaign to fund coverage of the 2014 gubernatorial election. 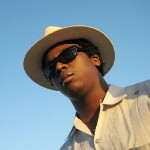 The campaign would raise more than $65,000 and become one of the most funded projects in the Journalism category in Kickstarter history.